Note: This post has been updated April 2017. I started teaching biblical studies at Northeastern Seminary in 2011, having previously taught for ten years at Roberts Wesleyan College and for six years before that at Colgate Rochester Crozer Divinity School (all in Rochester, NY). Northeastern Seminary was founded in 1998 by faculty from the religion, philosophy, and history departments at Roberts Wesleyan College (in consultation with Wesleyan theologian Tom Oden from Drew University). This was the fruition of a multi-year exploration of the possibility of a graduate-level theological institution on the Roberts campus. Although Northeastern Seminary is, in effect, a graduate school of Roberts Wesleyan College, it is institutionally and legally separate, with its own charter and accreditation. I learned about Northeastern back in January 2002 when I began teaching Old Testament and Hebrew to undergraduate students at Roberts. My faculty position at the College included a part-time appointment at the Seminary, to teach one or two courses per year, plus serve as guest lecturer in various faculty’s courses as needed. After teaching a couple of Master’s-level elective courses at Northeastern, I settled into teaching a “Scriptural Foundations” course for the fledgling D.Min. program, which began in my second year at Roberts. My teaching at Northeastern currently includes a Core course called “Biblical Worldview: Story, Theology, Ethics” and an introduction to Biblical Exegesis (both courses are taken by all Masters students in their first semester), plus a number of advanced courses in Biblical Exegesis, which have variable content (I have taught sections of Genesis, 1 and 2 Samuel, the Psalms and Job, and case studies in the New Testament use of the Old Testament). My goal in these courses is to introduce students to the comprehensive, holistic, life-giving vision of the Scriptures (“Biblical Worldview”) and to hands-on, detailed, close reading of biblical texts (“Biblical Exegesis”). Both sorts of courses are intended to help students become responsible interpreters of Scripture for teaching and preaching in the church. Northeastern Seminary continues the tradition of Roberts Wesleyan College, which was founded by B. T. Roberts in 1866. Roberts was an advocate of Wesleyan “social holiness,” so his Christian faith led him to oppose slavery and oppression of the poor, and to support women’s right to vote and even ordination (his book Ordaining Women was published in 1891). 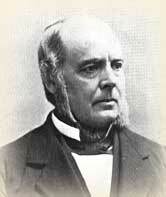 Along with a number of others, he founded the Free Methodist Church in 1860. While the Seminary derives from the Free Methodist tradition and is nourished by the vision of B. T. Roberts, it is ecumenical in scope, with students from over thirty denominations, including Baptist, Presbyterian, Pentecostal, independent/ non-denominational, United Church of Christ, Anglican/ Episcopal, Roman Catholic, and various Wesleyan traditions (Free Methodist, United Methodist, Nazarene, Wesleyan, AME, AME Zion, CME). The student body currently numbers 165 and includes about one-third African-Americans. The average age is 42 (though students range from those just out of college to those in their sixties or seventies). The Seminary curriculum was developed to cater to working people (both ordained and lay), so courses are offered in the evenings, and students from distance locations in Buffalo, Syracuse, and Albany are linked by video conferencing. Since it opened its doors in 1998 Northeastern Seminary has graduated about 400 students, serving in widely different forms of ministry in North America and throughout the world. The Seminary is committed to grounding students in the classic tradition of theological orthodoxy (reaching back through the ecumenical creeds to the Bible) with relevance to the current needs of church and society in a postmodern age. Semester 1: Biblical Worldview: Story, Theology, Ethics (taught by Dr. J. Richard Middleton). Semester 2: The Formative Era: From Synagogue to Cathedral – Growth and Change in the Early and Medieval Church (taught by Dr. Rebecca Letterman). Semester 3: The Protestant Era: Reformation and Revival in the Church (taught by Dr. Josef Sykora). Semester 4: The Modern and Postmodern Era: The Church in an Age of Science, Technology, and Secularization (taught by Dr. Elizabeth Gerhardt). These four interdisciplinary courses are each combined with an accompanying Core course in Biblical Exegesis: Introduction to exegesis the first semester, then case studies in various texts of the Old and New Testaments in the following three semesters. These courses are accompanied by four semesters of an intentional spiritual formation component, which includes retreats, chapel services, and faith sharing groups directed by trained spiritual facilitators, each of whom mentors a group of 6-10 students. There are also a variety of post-Core courses in Bible, theology, ethics, history, ministry, pastoral/ spiritual formation, and field education that students take (the particular combination depends on which degree program a student is enrolled in). The curriculum exposes adult learners to serious study of Scripture and to the ecumenical church in its complex development throughout history, while equipping them with practical courses in ministry. This rigorous academic approach is intertwined with spiritual formation so that students integrate their biblical and theological learning with their growing faith. The seminary currently offers five degrees, all of which are fully accredited by the Association of Theological Schools (professional), the Middle States Association of Colleges and Schools (regional), and the New York Board of Regents (state). The fifth is a Doctor of Ministry (D.Min.) degree. While the first M.A. is the degree of choice for those desiring an academic grounding in theological studies (with the possibility of a thesis), the others are explicitly professional degrees, meant to prepare students for various forms of ministry in the church and the world. The D.Min. is an advanced professional development degree for those with a minimum of three years ministry experience after the M.Div. (it requires a major research project or dissertation). Northeastern Seminary has worked out an arrangement with the graduate department of Social Work at Roberts Wesleyan College to allow interested students to complete either the M.Div. or the M.A. (Theological Studies) in tandem with an M.S.W., with less time than it would take to do both degrees separately (due to course overlap). The Seminary has also entered into an agreement with the religion and philosophy department at Roberts, which, when NY State approval is received, will allow religion students to enter the Seminary after three years of undergraduate study instead of four (students would jointly receive their B.A along with their Seminary degree). The Seminary has seven regular faculty, who teach the Core courses and electives; some faculty are also involved in administration and supervise Field Education. Dr. Elizabeth Gerhardt (Th.D., Boston University School of Theology), Professor of Theology and Social Ethics. Dr. Nelson J. Grimm (Ph.D., University at Buffalo), Director of Field Education and Professor of Applied Theology. Dr. Rebecca S. Letterman (Ph.D., Cornell University), Associate Professor of Spiritual Formation. Dr. J. Richard Middleton (Ph.D., Vrije Universiteit, Amsterdam), Professor of Biblical Worldview and Exegesis. Dr. Esau McCaulley (Ph.D., University of St. Andrews), Assistant Professor of New Testament and Early Christianity. Dr. Josef Sykora (Ph.D., Durham University), Director of the Doctor of Ministry Program; Assistant Professor of Biblical Interpretation. There are also faculty members at Roberts Wesleyan College who hold special appointments as part-time faculty at the Seminary . 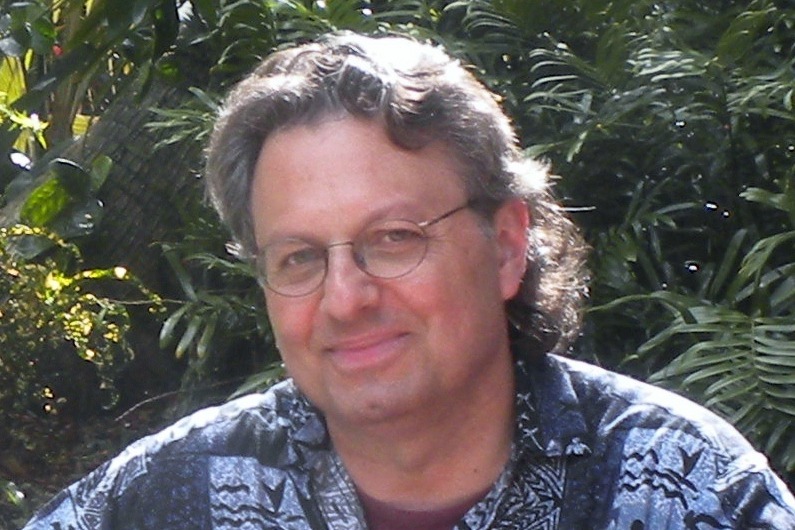 Dr. David Basinger (Ph.D., University of Nebraska at Lincoln), Professor of Philosophy and Ethics. Dr. Scott Brenon Caton (Ph.D., University of Rochester), Professor of History and Culture. The Seminary also has numerous adjunct faculty from the College and the community who teach a variety of elective courses on different topics (some are pastors, others teach in other institutions). Although Northeastern Seminary has as its goal the preparation of women and men for various forms of ministry in the contemporary church and world, the curriculum allows for those who desire to pursue academic research in a variety of areas. Northeastern Seminary combines the best of classical theological orthodoxy with a generous openness to a variety of viewpoints from many ecumenical traditions. The Wesleyan theological roots that nourish the Seminary are characterized by fidelity to Scripture and the ecumenical creeds of the church, while the contemporary plant puts out shoots in multiple directions and flowers into an open-ended exploration of how the faith (once for all delivered to the saints) relates to the contemporary world, with its often difficult questions and issues. Northeastern Seminary could therefore be characterized (as I myself was once described, when being introduced as a retreat speaker) as being “more conservative than the conservatives and more liberal than the liberals.” Without wanting to claim that every faculty member is just like me (they are certainly not), I think this paradoxical summary gets at my experience of the Seminary as transcending the typical “culture wars” approach to life found in many theological traditions. In classes, faculty and students engage in guided investigation of Scripture, tradition, and the world around us, grounded in our commitment to the triune God revealed in the incarnate Christ, yet without narrow assumptions that prejudge important questions in advance. Our full- and part-time faculty come from Methodist, Lutheran, Charismatic, Episcopal/Anglican, Brethren, and Roman Catholic traditions, and most have been shaped by complex denominational experiences beyond their current church membership (including Presbyterian, American Baptist, Primitive Baptist, and Missionary Church). While each faculty member has their own theological orientation and disciplinary specialization, we all respect each other and honor both our common faith in Christ and the diversity and expertise we bring to the table. One important clue to the atmosphere of the Seminary is that faculty meetings are often characterized by laughter—we really like each other! In short, Northeastern Seminary is a hidden gem. I’m delighted to be teaching at this unique theological school. If you’re interested in learning more about Northeastern Seminary, you can can find answers to many of your questions on the FAQ page. Further inquires can be directed to the relevant admission staff members.